As an employer, before you go into nominating the right people to come to Australia through the issuance of 457 or Temporary Skill Shortage visa (simply called TSS visa), you first need to obtain what we call Standard Business Sponsorship (SBS) approval from the department. Getting an SBS is quite a process but this topic is intended for another article. Our focus in this article is to discuss employer’s obligations as a 457 visa (TSS visa) sponsor. The law requires you to perform your duties towards two parties: these are your 457 visa (TSS visa) sponsored employees themselves and the DIBP. Needless to say, you must check your prospective employee visa conditions first to make sure you can sponsor them at all. This condition requires you to prove that the terms and conditions of employment of those you nominate are comparable with those of the Australian citizens or permanent residents doing the same occupation in the same location. The government just wants to make sure that overseas workers are not exploited through below average salary rates, lengthy work hours, disadvantageous leave privileges, etc. The minimum salary for 457 visa holders has been set to AUD 53,900. You can, however, skirt this requirement if you can show that the guaranteed annual earnings of your employee is no less than AUD250,000.00. Furthermore, you have to make sure that the employee actually receives the compensation package stipulated in the contract. You have the obligation to enforce this one important condition of the 457 visa application, namely that the visa holders only perform the tasks of the occupation they are sponsored for. It may happen that some would show improvements in the role that they undertake, such that they can take on more responsibilities, thereby proving that they can manage to perform more senior roles. Changes like this may be permitted. 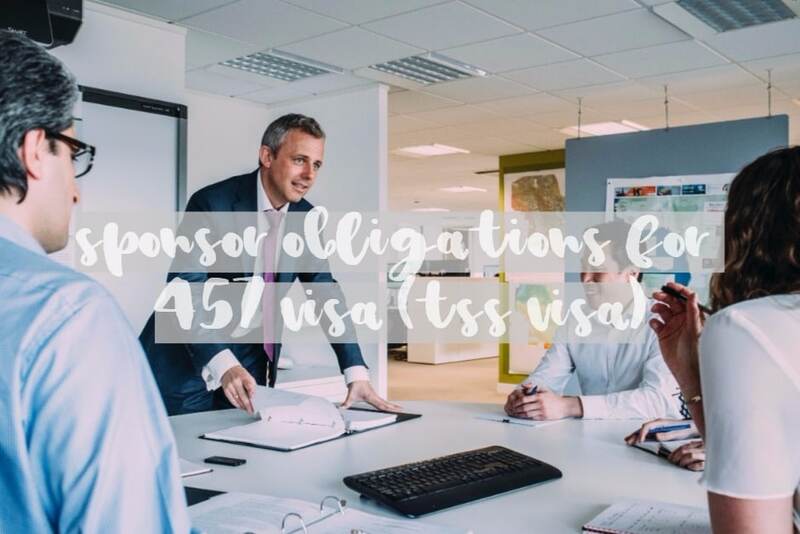 If, however, you want the TSS visa holder to move into a completely different role, or want to alter his or her duties significantly, then you will probably need to apply for a new 457 (TSS) visa. This adjustment needs the approval of DIBP before the employee can assume the new role or change his or her job description altogether. The duties and responsibilities of the worker’s occupation need to include the majority of the duties of the position prescribed in ANZSCO. If such changes veer significantly away from those listed in ANZSCO, which were the basis for the approval of his or her nomination, then you will need to file a new nomination application. The occupation of the sponsored worker is an exempt occupation. When the TSS visa holder completes their employment with you or when their visa expires, at which point they can no longer work for you unless they are subsequently given another visa with work rights, they, or the DIBP acting on their behalf, can make a written request to you to cover the appropriate and necessary travel costs to allow them to leave the country. 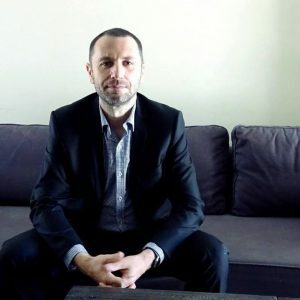 When you receive the written request, you will need to cover the travel cost from the visa holder’s usual place of residence to the place of departure and also the travel cost from Australia to the country (which issued the passport to the requesting party) as specified in the written request. You just have to provide economy airfare or, if this is not available, a reasonable equivalent. These costs need to be paid within 30 days upon receipt of the written request. This obligation takes effect while the visa holder is an employee of the business and the TSS visa nomination approval is under the business SBS. It ends when the visa holder changes their sponsor, is granted another substantive visa other than the TSS visa or when the individual leaves Australia and is no longer the holder of said visa. The department obliges you to inform them of certain events or changes that they need to be aware of such as changes to your address or contact details, the end or expected ending of the employment of a primary TSS visa holder or changes to their duties and responsibilities, when you become insolvent, when your business ceases to exist as a legal entity, etc. The DIBP has listed certain records that your business must keep. These records and documents may be used to monitor your business in relation to your compliance with the sponsorship agreements or for purposes of an investigation by the inspectors. An example of a record that needs to be kept is when you receive a written request from a TSS visa holder who has ceased employment and requested you to cover the costs of their return travel. You should keep records of all correspondences, receipts, invoices and other documents proving this transaction. To ensure compliance with this obligation, you should see to it that the person or team that manages your TSS visa-holding population possess clear knowledge and understanding of your obligations as a sponsor. Instruct them to maintain the records in a reproducible format and ready for easy verification by an independent person such as an investigator. The DIBP does not prescribe a specific format in which to keep your records. Just see to it that the general principles of good record keeping and management are observed. These records and documents need to be ready and available at all times in case the department needs them. This obligation follows the abovementioned obligation of keeping records. The DIBP may impose it as part of the regular monitoring process and in cases where investigations are conducted. You need to provide records or information as a result of a legal obligation, obligations arising from the granting of SBS or obligations mandated under the terms of the labor agreement. There may be some more issues in your own business that are not properly covered in this article. Please don’t hesitate to contact any of our staff at Nowak Migration for clarification and advice. You always have our back when it comes to your concerns involving visas and migration issues of your employees. Should you require any assistance with checking your compliance as a visa sponsor please do not hesitate to give us a call or contact us. We are here to help. There are two types of sponsor obligations for 457 visa (TSS visa). Obligations of employers to 457 visa-holding employees and to the DIBP. Both are important and non-compliance might lead to cancellation of a sponsorship. Ask Nowak Migration for more details.